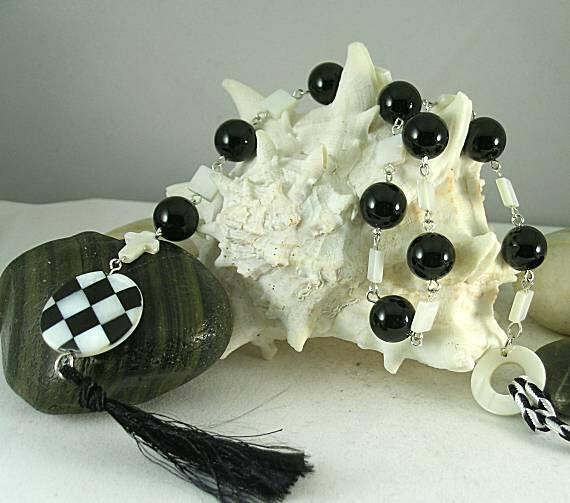 This paternoster has a large flat round black and white checkerboard mother of pearl inlaid bead that is approx. 1" in diameter as its focal point. 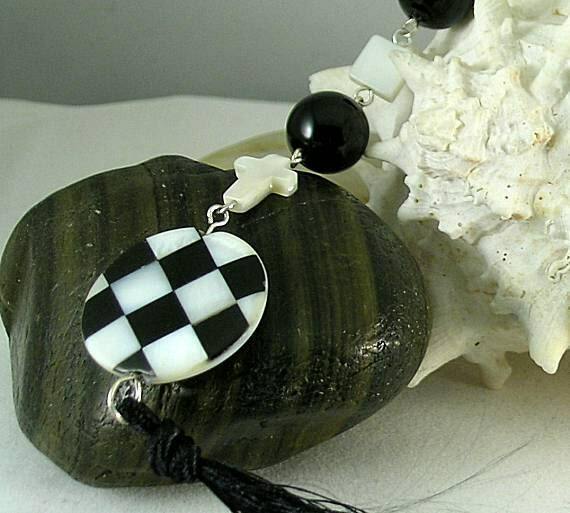 Directly above the checky bead is a mother of pearl credo cross. 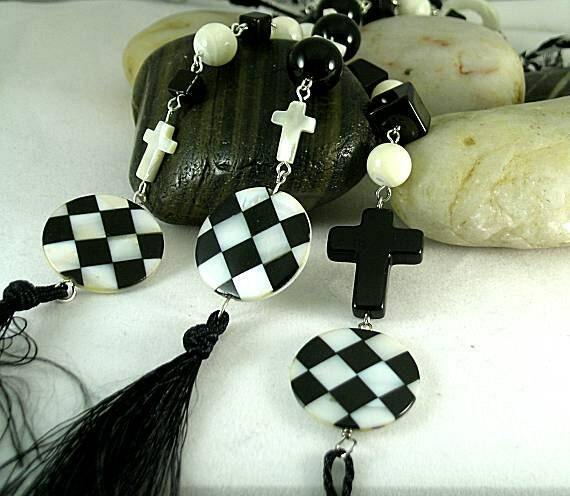 Ten 12mm onyx round beads alternating with ten 8mm flat square mother of pearl beads make up the rest of this chaplet making it perfect for alternating Hail Mary with Our Father which was popular during the Middle Ages and Renaissance. (Mary, Queen of Scots had an alternating prayer rosary.) The earliest with this bead arrangement is in a museum in Huy, Belgium which dates to c. 1250-1300 AD. A tassel hangs from the checky pendant and at the other end there is a round flat mop ring with a cord for hanging from the belt. 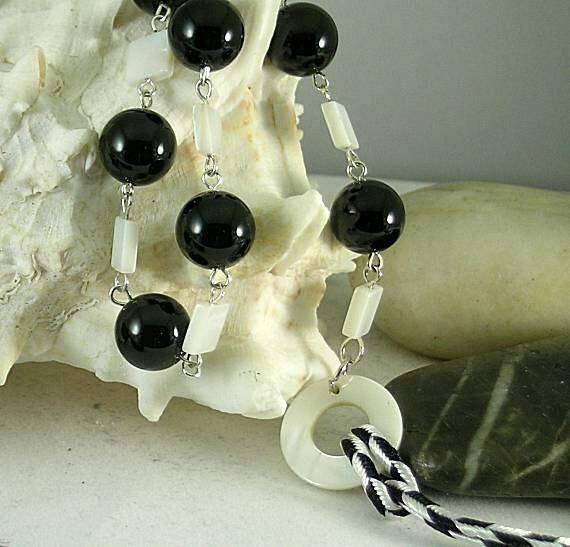 Excluding the cord, this string of prayer beads measures approx. 18" in overall length.